With fewer than 4000 people who all want to keep the town as it is (thank you very much), it’s understandable how quaint city laws are kept on the books. These laws include not allowing high heels without a permit, not installing street lights or putting street numbers on houses, and not cutting trees to make room for new buildings—the buildings must be built around existing trees. Trés quaint. 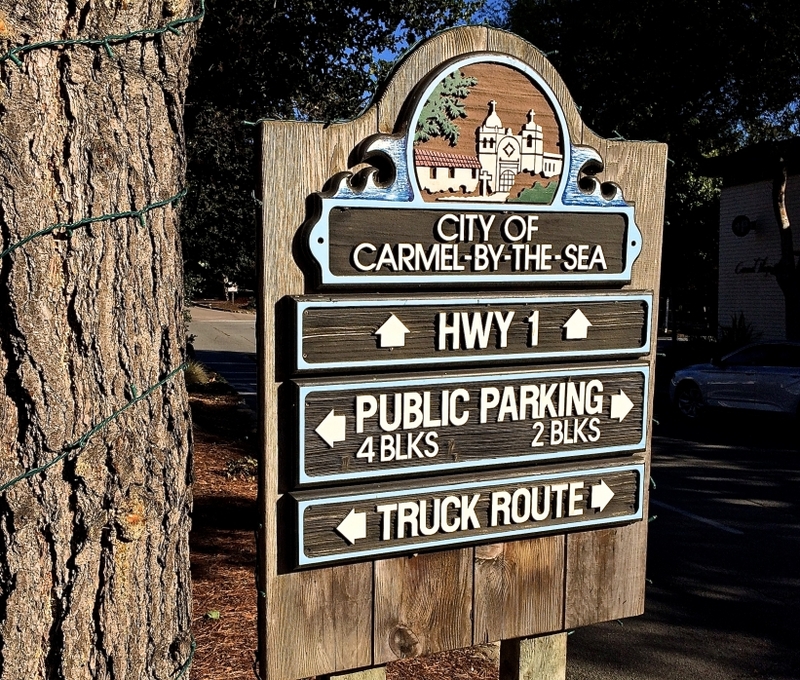 Carmel-By-The-Sea prides itself on being a walkable seaside community. Park and walk to wine tastings, shopping, galleries, inns, restaurants (most are dog friendly with doggie menus), and the beach. When your feet beg for a break, hop in the car and go a bit farther afield. Two nearby places not to be missed are Asilomar to check out Julia Morgan’s definitive architecture, and the Carmel Mission where the body of newly canonized Juniper Serra lies. If time permits, Point Lobos offers a close-up look at the gasp-able beauty of the jagged, wave-crashed coast and, if you’re lucky, an eyeful of whales, sea lions, or those adorable back-floating sea otters.